16 Year Old Livingston Youth Passes Away, HOUSTON, October 13, 2012 - The 16 year old Livingston Youth who was the victim of a gunshot wound to the head from a .22 caliber weapon has passed away. He reportedly passed at 7:30 pm on October 13, 2012 at Hermann Hospital in Houston. It is not yet known to PolkCountyToday.com whether or not the woman who was charged with 2 counts of aggravated assault will have to face upgraded charges as a result of her alleged actions. 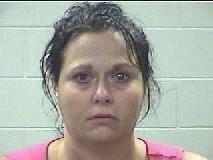 Rachel Nicol Leggett, 42, of Livingston, has been arrested and charged with shooting a 16 year old boy. Woman Charged in Shooting of 16 Year Old Boy, LIVINGSTON, October 13, 2012 - The woman who allegedly shot a 16 year old Livingston Boy has been arrested. Rachel Nicol Leggett, 42, of Livingston has been arrested and charged with aggravated assault with intent to cause bodily injury and aggravated assault with a deadly weapon. According to sources who spoke on the condition of anonymity, underage drinking was involved. Some youth who were allegedly friends of Rachel Leggett's son pulled up in the yard and were exhibiting rowdy behaviour. The behaviour allegedly alarmed the woman and she grabbed a .22 caliber weapon and shot one of the youth in the head. the youth remains in the hospital in extremely critical condition.